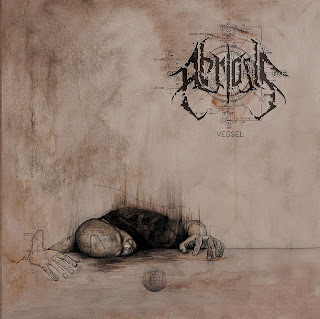 Abriosis are a four-piece progressive/technical death metal group with Female Fronted Awesome from Vancouver, British Columbia Canada. beberapa waktu lalu Gitaris Taylor Lipton menyarankan Gw untuk Mendownload Free Ep Ini via Website resmi mereka, sebuah Ep yang sebelumnya hanya dirilis dalam Format Digital ini cukup mengagetkan juga typical bermusiknya. the band have switched up their approach and incorporate a large variety of methods to execute their technical prowess rather than sticking to a few styles such as sweeps; which are surprisingly not featured on this content. These musical progressions make this EP stand out among previous Abriosis material, and keep the audience from feeling like this album is tedious or needless; unlike many EPs which are 'more of the same' filler. ini seperti pertarungan sengit antara Arch Enemy dengan Sentuhan teknikal Part in the Vein Cryptopsy era " the Unspoken King " plus gaya Teknikal Gorguts Era " The Erosion Of Sanity " lumayan terasakan sekali. Permainan Riffing yang kompleks dengan metode2 konvensional dan menghasilkan karakter yang terasa Chaotic ini cukup menyita Indera serta Feel gw seketika menikmati Track pertama " Crypsis ", dimana Hentakan Blastbeat sudah menyerang membabi Buta dengan Sentuhan teknikal Riffing part dan Raungan Multiple Vokal dari Alxs Ness yang powerfully abis talenta-nya, ga heran jika Gitaris Taylor Lipton sempat bilang kalo Alxs adalah female Vokalis yang Hebat untuk Abriosis setelah 3x ganti vokalis cowok, Abriosis seperti menemukan " Spirit " mereka dengan formasi saat ini. The guitar riffs are beyond Technical wankery and feature some genuinely mind-blowing segments that even approach all-out weirdness quite often. Abriosis definitely afraid to use dissonance because they understand exactly how that’s supposed to be used. The chord structures leave you with an uneasy feeling, yet you can’t wait to hear what’s next. The bass, while not particularly virtuosic (at least not to me), is loud and groovy, and the drumming is on par with any of the countless other tech-death drum styles out there. mungkin terasa akan banyak eksperimen musik yang memerlukan waktu berulang ulang agar dapat mencerna-nya. " Crypsis " memang benar2 sebuah Nice Track banget ! semakin melakukan Eksperimen Aransemen di track andalan " The guitar riffs are beyond simple wankery and feature some genuinely mind-blowing segments that even approach all-out weirdness quite often. Abriosis definitely afraid to use dissonance because they understand exactly how that’s supposed to be used. The chord structures leave you with an uneasy feeling, yet you can’t wait to hear what’s next. The bass, while not particularly virtuosic (at least not to me), is loud and groovy, and the drumming is on par with any of the countless other tech-death drum styles out there. semakin melakukan eksperimen Berikutnya adalah " Vessel " membuktikan akan Komposisi luar biasa berikutnya memang menjadi ambisis Abriosis untuk menembus Batasan yang ada. bagaimana emosional bermusik dari Slow, Standard hingga cepat seperti mengacak Feel Mereka dengan cukup Kompleks segala sentuhannya. Taylor Lipton, Ryan McDonnel dan Drummer Robin Iwasiw seakan tengah memadukan Ego bermusiknya dengan konsep masing2 dan tetap 1 arah untuk bertemu dalam komposisi musik band, hasilnya ya kali ini di Ep " Vessel ", sebuah konsep yang merupakan perjalanan serta mungkinTitik Nadir bermusik Abriosis ! Regardless, the combination of pulsing, deliriously complex grooves and Taylor Lipton’s tuneful guitar solos gets the neural pathways tingling, and Ness’s technique is astounding—she sounds like at least three different big, hairy, evil-looking trolls. Fascinating, fearsome stuff. lalu " Peering Into Oblivion " gw menemukan sentuhan Cynic Lama era Demo terekam dalam karakter Vokal Axls yang dapat melakukan beberapa Typical Vokal sendirian disini, Salut ! Vocalist Alxs Ness injects rabid passion into her performance, causing her vocals to come across aggressive and domineering while boasting an enjoyable range of shrieks, growls and even some gutterals. Where the instrument performance is concerned, the band have switched up their approach and incorporate a large variety of methods to execute their technical prowess rather than sticking to a few styles such as sweeps; which are surprisingly not featured on this content. " Peering Into Oblivion " more complex and Darkly !!! dan " Apochra " menyudahi penampilan mengagumkan untuk komposisi serba Eksperimen Teknikal Death Metal seperti ini. sebagai saran gw, mendengarkan Ep ini mungkin harus berulang ulang untuk dapat menangkap konsep band yang sebenarnya, karena jika tidak, akan sangat sulit untuk menikmati aransemen indah musik Abriosis. easily jumping between different time signatures and complex rhythms with ease, never missing a single beat. There are even moments on songs like title track Vessel where slight can be heard. Yet while the drums and guitars might seem to be in the limelight, with his rather unique basslines helps to provide a nice backdrop for the chaos in front. Most tech-death EP tend to bore me when they are more or less halfway done, and end up sounding like pointless wankery and showing off of technical abilities of the band. Yet with the rather short duration of Vessel, lasting not much more than 20 minutes, ensure that the experience is kept short and sweet, delivering a suitable dosage of brutality and technicality to one who is as impatient as me.